Practical life is a big part of Montessori education. 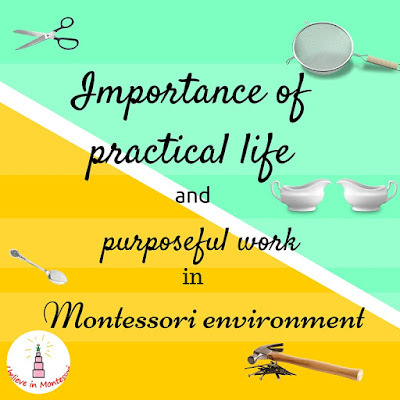 On the contrary to the myth that Montessori children spend their time surrounded by strange activities that will not serve them in future, Montessori children in our classrooms prepare themselves for real life. I would even say they are living real life. In our classroom you can find peace observing how little children broom, wash clothes, dust, serve meals and this is not a pretend play. If a child spilled some water he can go to the special place in the classroom where we store clothes and wipe this without any assistance. 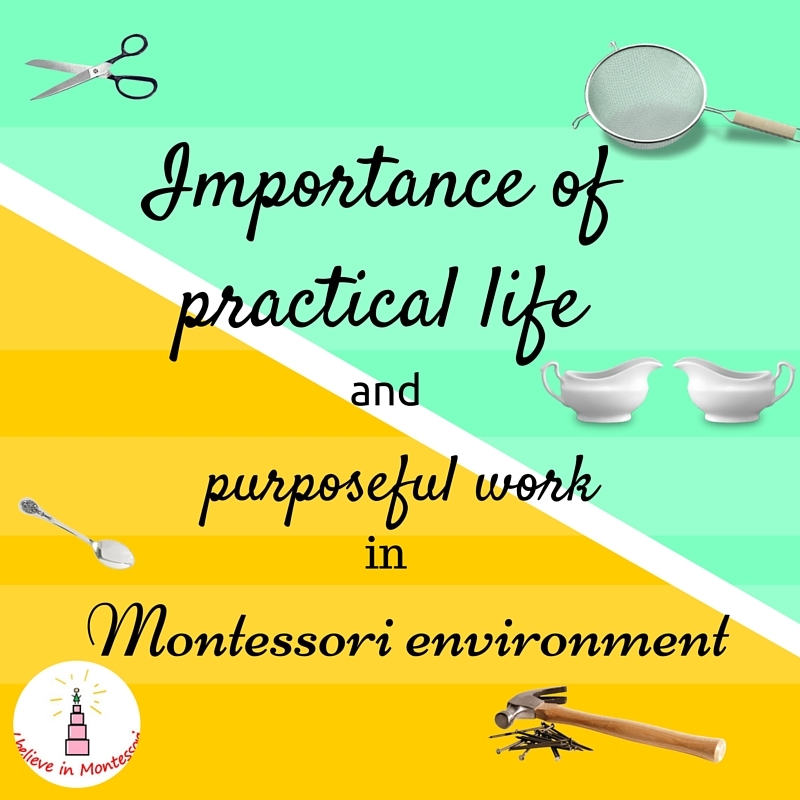 What kind of activities are used in Montessori practical life area? So this is basically the list of some integral activities that will help the child to be independent and to do things on his own. Being able to do all these makes a child happy that it is in his abilities now to do things on his own, without the help of adults. Also, it makes your life easier and give you extra time. Why is practical life area so important? - it is the indirect preparation of the child for work with other materials. Practical life activities develop proper finger grasp. The principle that we do all things from left to right and from top to the bottom helps then in reading and writing. In Montessori classroom child firstly starts to work with materials from practical life area. They teach him to operate with things around him. He learns how to take the material from the shelf, how to carry a tray, how to take a carpet, how to roll it, how to carefully work with materials. Without this basic knowledge, he can not go further. Now imagine your home as Montessori space, what basic skills do you need to teach your child so he will be able to operate at home easily? You can go back to the list above and grab some ideas. The child is not satisfied when he can not do something himself and need to call someone constantly to help. He loves when he can clean the workplace after himself when he finished the work. That is why practical life and prepared space are so important. Now choose one work from every type and introduce your child at home to them. When he will master them, choose next one. You will notice the progress very soon. Sometimes you can think what is the sense in teaching children to wash clothes or to polish metal if we don't do these often in real life, as for example now we have washing machines. Firstly, these skills will make no harm to children. Secondly, they are very proud to announce that they now can do something new, something that can be helpful for parents and something that will make them more independent. Thirdly, washing clothes Montessori practical life activity is not that easy as you can think at first. This is a long process that takes at least 30 minutes of child concentrated work! This activity has more than 20 steps, starting with feeling the bowl with water and finishing with taking the whole utensil to its original look and bringing it away. These teach children to work using the algorithm. It trains their memory. Can you imagine that the child needs to remember all these steps? And they do. Oh, how they love it! Every practical life activity that child can do at home is also such not easy work for the child. And every of them has such positive impacts on children. At home parents sometimes don't involve children in everyday works and routines of the family such as washing clothes, ironing, cleaning. They think that these tasks are for adults or such kind of things are not interesting for children. Adults have such feeling because these activities are usual for us. We fulfill them easily. We even often don't like these routines because we do them every day. But children love them. They like all the things their parents do and they love to work. All these tasks are not boring for them. They are interested in the process. They want to be helpful and useful for the family. They like pretend plays with cooking, but preparing a real sandwich for themselves or family members fascinates them because their activity has a meaning and it is useful for someone. In ancient times, there was such type of punishment when they were forcing people to dig a big hole and then to fill it back up. The work without sense, meaning and purpose was counted as the worst. That is why I think though the play is very important for children but they also just really genuinely love real work. Practical life activities at the young age are the wonderful opportunity for developing love for work in children and in their adult life. Why do children love to work? Because they don't treat it as something difficult or complicated, as we adults do. They treat it as the way of life, as a fun activity, as an interesting way to spend time. I am not against play at all, it has its reasons and it is wonderful and children need to play, but sometimes instead of buying strange toys or just one more new toy, or creating some extraordinary new activity every other day that is more entertaining for us than for kids, we all just need to relax and give children some opportunities for practical life work. You made a great point here! Children gain great benefits from performing meaningful tasks. Thank you for sharing your wisdom! One of my favorite Montessori activities is practical life skills! It's beautiful to see a child caring for themselves and their environment. Thank you for your explanation of practical life activities. Thank you for your time for reading my post! We LOVE practical life activities in this house! They're so important to include in a child's education! Very good information. Now a day Montessori education has come out to help children for their self education. This allows children, teaches them self-motivation and helps them become more confident in themselves. Before some months I had ordered Montessori materials from Kidadvance. Really they provided me best materials with best price. My name is Katerina. I am a Montessori teacher from Ukraine. 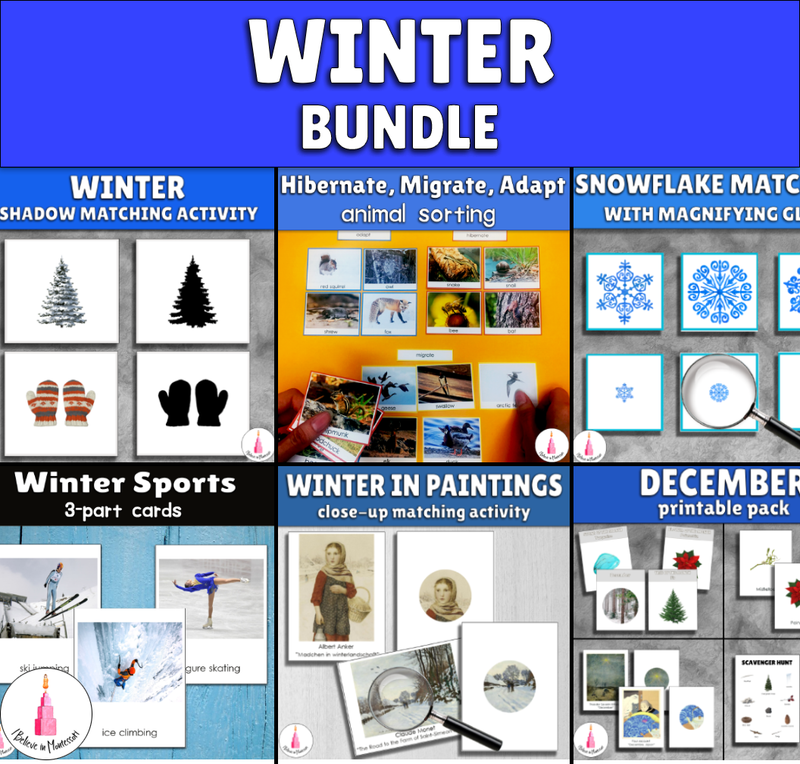 Here I share my ideas, activities, and printables. I am happy you are here! Посетите профиль Пинера I believe in в Pinterest.